As part of our Bespoke Collection, this trendy and comfortable Hooded T-Shirt is built off of our wildly popular Lacy Slope Tank Top. If you already have the Lacy Slope Tank Top you can just purchase the Add-On Pack. 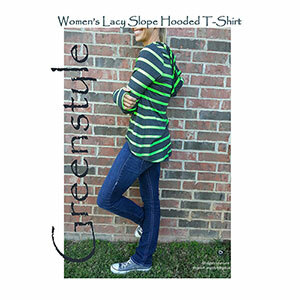 However, if you purchase this pattern, you will get both the Lacy Slope Tank Top and the Lacy Slope Hooded T-Shirt! It is two patterns in one easy package. 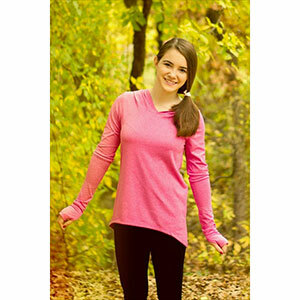 Pattern contains sizes XS to 3XL or a measured bust of 34" to 47"
Recommended fabrics are medium weight cotton jersey or jersey blend, interlock, ponte de roma, french terry, thermal or sweatshirt.